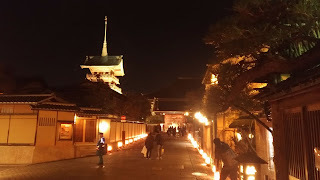 Maple festival in MITAKI Temple!! 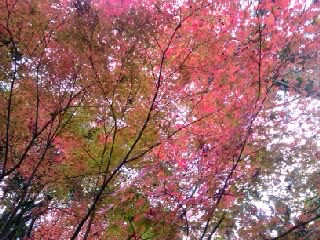 It is the best season to see autumnal leaves!! 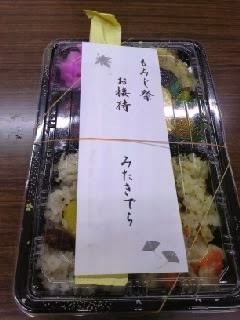 I went to go to MITAKI temple to join maple festival. It was quite cold day but trees are so beautiful. There is red maple, yellow gingko, orange liquidambar and so on. 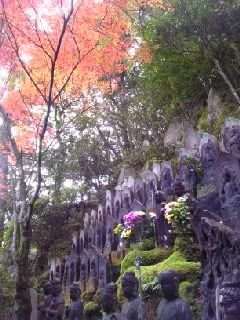 MITAKI temple is on the mountain. So there is so special ambience. It took about 30minutes by bicycle from Yokogawa station and the way to there is really heavy. But finally, You can see amazing view!! There is good collaboration moss and water and stone figure. 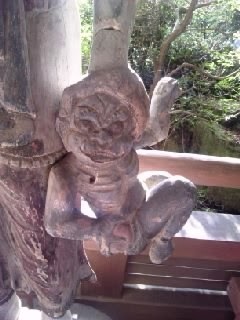 It is a kind of devil which is always stepped on Buddha statue. I found really cute one. This is so cute and charming!!! I like taking notice in this kind of ＪＡＫＩ．They are always charming. After I saw Buddhist memorial service, The person who is working there gave me some ticket. It was ticket for a lunch box!! 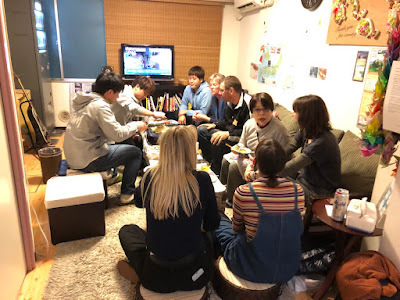 It was great time for me.